﻿ Chao Phraya Home, Nakhon Sawan | FROM $15 - SAVE ON AGODA! "Good place to rest up"
Have a question for Chao Phraya Home? "Pro: Huge clean room just off the main bangkok-chiang mai road." "Very clean, huge room, covered parking right outside of each..."
Conveniently located in Nakhon Sawan, Chao Phraya Home is a great base from which to explore this vibrant city. The excitement of the city center is only 30 km away. With its convenient location, the hotel offers easy access to the city's must-see destinations. 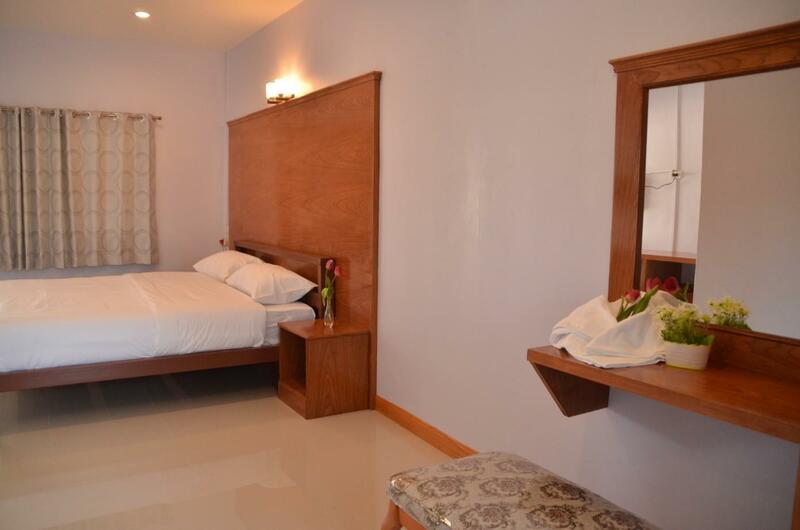 The facilities and services provided by Chao Phraya Home ensure a pleasant stay for guests. Top features of the hotel include free Wi-Fi in all rooms, 24-hour security, daily housekeeping, 24-hour front desk, express check-in/check-out. Guests can choose from 20 rooms, all of which exude an atmosphere of total peace and harmony. Whether you're a fitness enthusiast or are just looking for a way to unwind after a hard day, you will be entertained by top-class recreational facilities such as children's playground, garden. Superb facilities and an excellent location make the Chao Phraya Home the perfect base from which to enjoy your stay in Nakhon Sawan. "Location is great for travelers needing a stop for the night..."
Location is great for travelers needing a stop for the night. Very clean, huge room, covered parking right outside of each door, quiet. No frills, but had everything we needed - air con, fan, cold waters awaiting in the fridge. We used Google directions and it was very easy to find - a well-lit sign and friendly staff, even late at night. Will definitely stay here again.